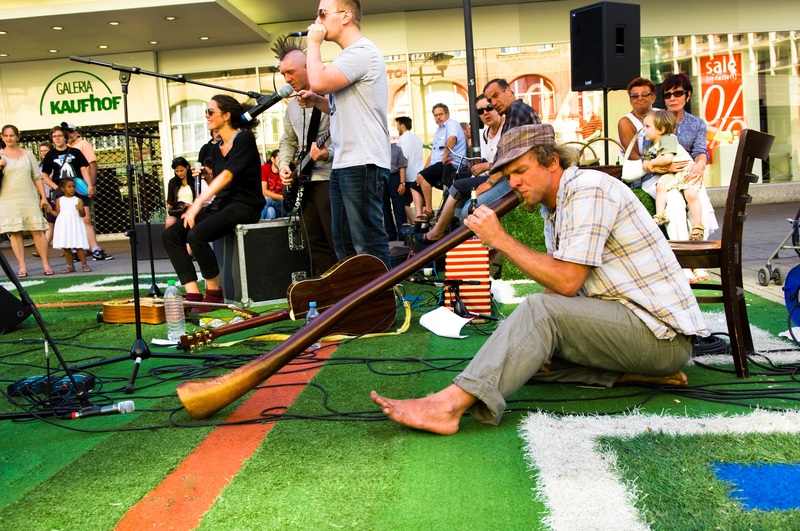 The Flying Grass Carpet travels to underutilized and overlooked plazas around the world, unfurling its 6,000 kilos of artificial lawn over an area as large as 920 square meters. Never settling down for more than a few weeks at a time, the half-inch-thick installation encourages citizens to rethink the possibilities of their public spaces. The project was developed by HUNK-design and Studio ID Eddy in 2008. For portability, the carpet breaks down into 24 rolls, which are then transported by truck or shipping container to the next location. Upon arrival, each roll attaches at the seams to create a single turf tapestry. 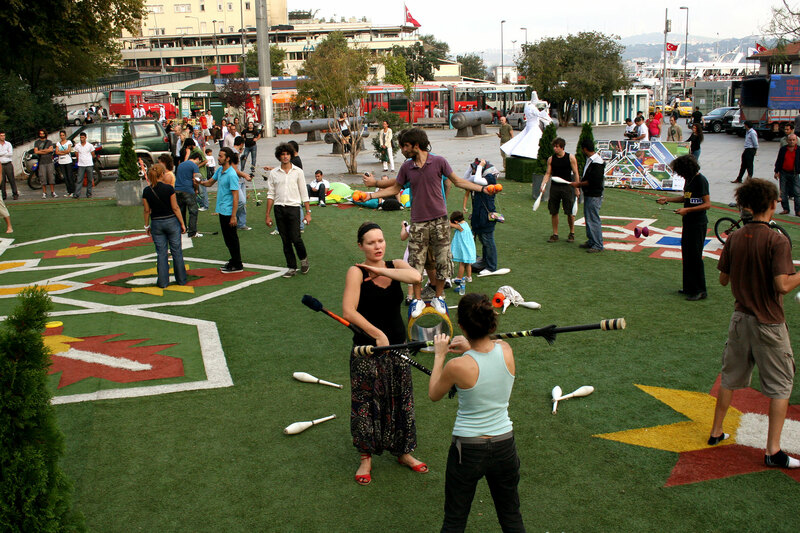 The installation can scale up or down in size, depending on the context and space availability and usually takes a full day to set up. 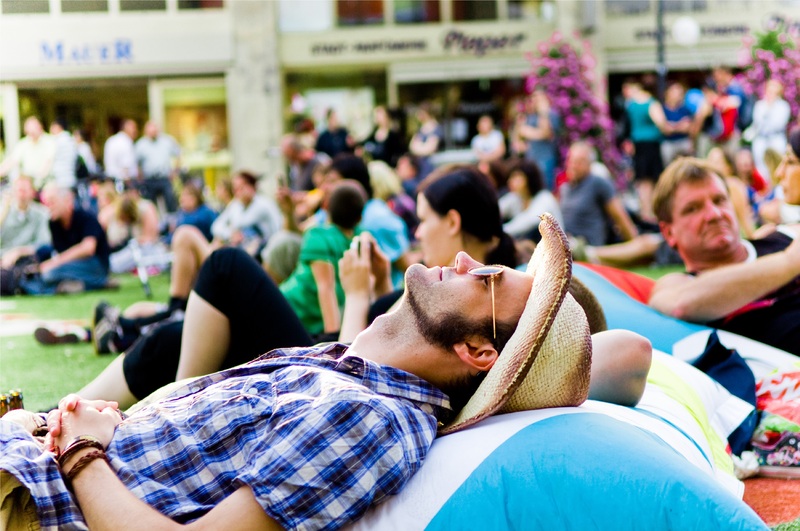 Added amenities include bean bag chairs, picnic blankets, and giant building blocks for kids. 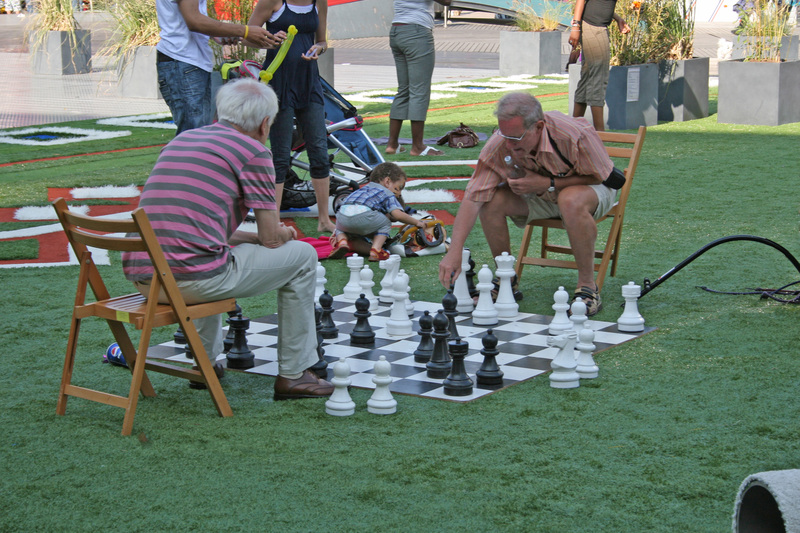 Programming like live entertainment helps activate the carpet in a variety of ways depending on its location. 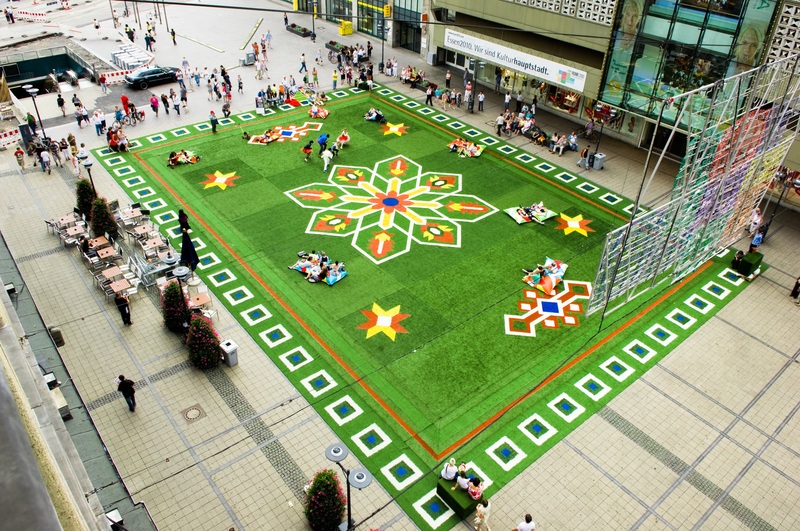 The Flying Grass Carpet has been a lighter, quicker, cheaper kick-off to placemaking processes in numerous countries, including China, Germany, Hungary, Turkey, The Netherlands, and Spain. Because the carpet has no permanent home, its ability to break down into 24 rolls is key to its transportability and lightness. The carpet takes one full day to set up.